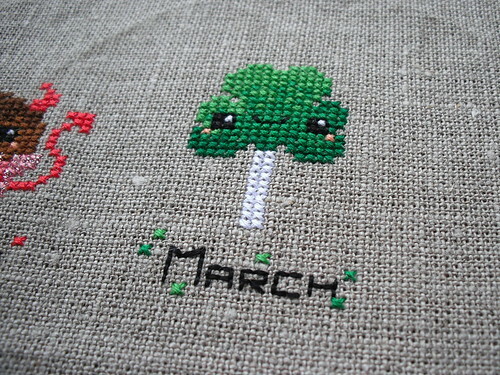 March's dessert for the Dessert of the Month Club is a shamrock cake pop! I can't remember stitching with such bright greens before, so it was fun to get to do that. Plus, it's just so happy and cute! Here are all three months together. I love their little smiles!